Given that 2019 will continue to be the year of emails, it is predicted that almost 2225.3+ billion emails will go out this year! Understanding the anatomy of email template design practices can be a tough game for businesses. 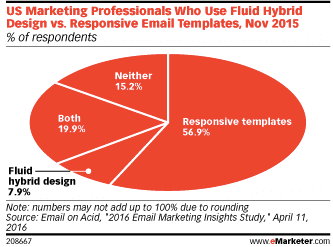 So how would you up your game this year to deploy smart email template design practices for your email marketing? It all starts with the aesthetics of email template design. Images, fonts, color palettes, copy – all of these elements make up for a good email. If your design is well thought of, it will boost your email open rate. Did I tell you Aritic PinPoint lets you configure the BEE editor for your landing page and email template design? Yep, with the all the time favorite drag and drop editor, you can also configure the BEE Editor to enhance your marketing campaigns. Since all templates are mobile responsive, you can relax. Here are 13 mistakes that you can avoid in your email template design to grab your user’s eyeballs. Research shows that almost 56% emails are opened on mobile devices. It is important to keep the layout as a single column and make it no wider than 500 to 600 px. This would make your emails readable on mobiles. If you include buttons for CTAs or even links, make sure they are in the resolution of 44X44 px. This is the guideline that even Apple gives. When you are designing a header, make sure it is less than 150 pixels. This will not deviate your audience’s focus for the main message or the call to action buttons below. For the Johnson Box, make sure that it is at 400X 300 pixels. This also drives maximum engagement for your emails. 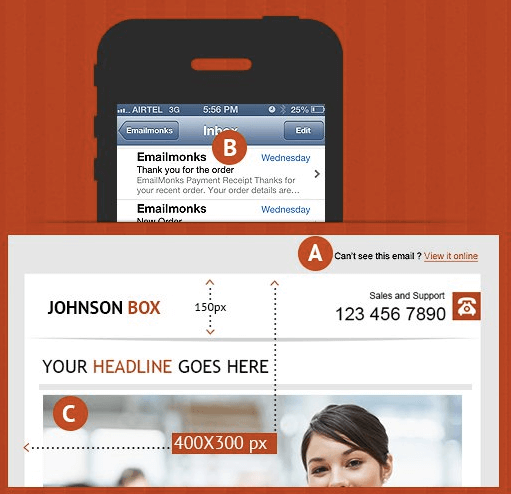 Johnson box is the box that usually contains the main message of the email, and is found on the top of a direct email. 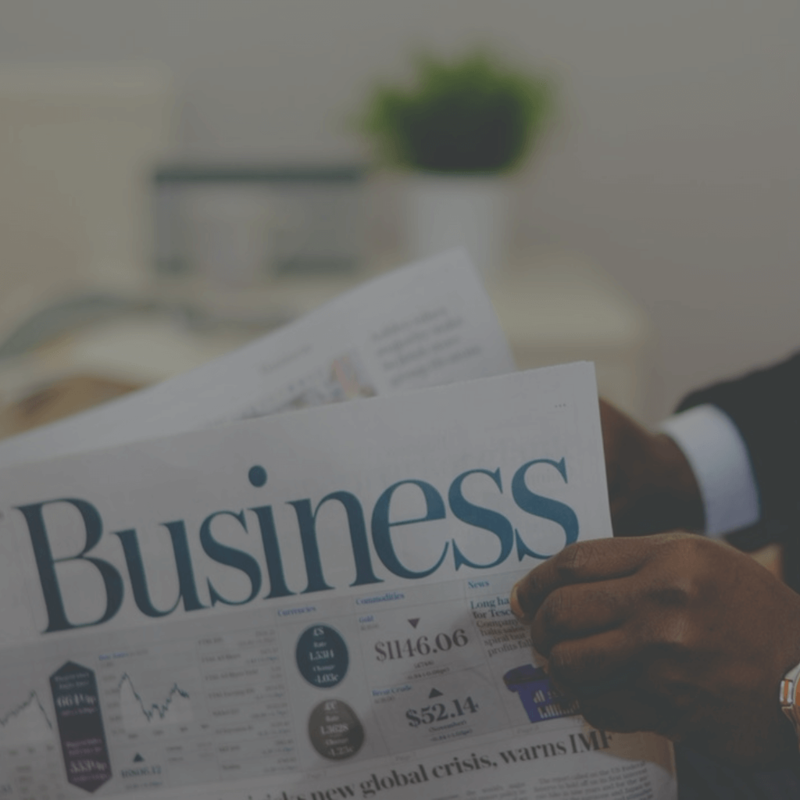 The main purpose of this box is to get the reader’s attention to the key message first and keep them glued to the content so that they read through the full email. When you are doing your email template optimisation, your branding should take the upper hand. 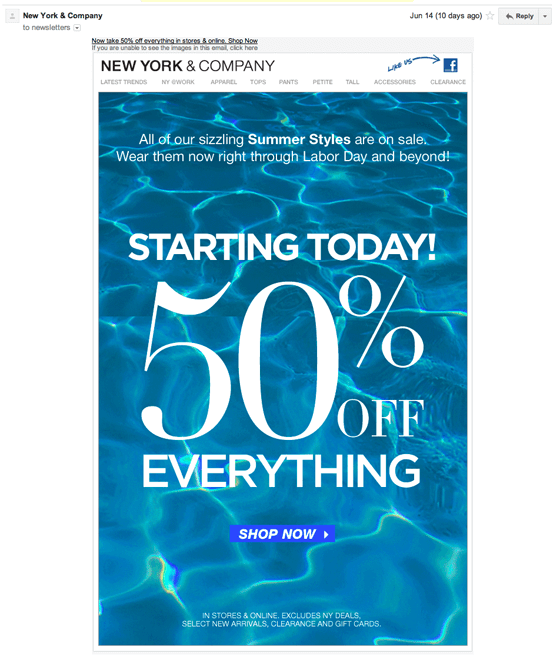 Reflecting your brand identity in your email designs is important. The first tip is to remove All Caps in your subject lines. Keep it short and crisp. When you are using all capitals, it is more like shouting out loud. It hampers the readability and makes it all too loud. Use a capital letter in the starting of the sentence or for Pronouns or for short string words that require emphasis. This will make your email design look sleek. After all, this is exactly how people are used to reading. Almost 90% of the reasons why consumers buy a product is because of the colored adverts. For email templates, colors play a significant role in understanding the reasons that lead to a higher email open rate. For example, Red is a color that defines popular online platforms Youtube or Netflix. It is known to be eye-catching and can be used to highlight important elements in the email. The color palette you choose should define your brand identity, and people should be able to recall your brand from the emails you sent. One amazing example to understand how colors play a vital role in email designs is to note the Holiday emails from Apple. You can see below in the image how they have created a visual pattern throughout the message and how uniform is their color scheme. Choosing the right font is as important as picking the right color palette for your email. According to a recent Bloomberg article, designers think certain fonts always work for an email while some are an absolute no-no. For instance, Helvetica is the font that Apple Mail uses while Gmail sticks to Arial. It also reveals that nerds love Helvetica because of the neutrality in the design. Font designers, on the other hand, call ‘Aerial’ font to be ambiguous. This article is an eye-opener because none of these two fonts work. Rather, font designers suggest Georgia and Verdana as the best fonts to use in an email design. Aligning your font with your brand proposition is imperative. Choosing the right font gives your email template design that extra edge. It can be a distraction for your audience if you embed a video in the email. Often they tend to ignore the CTA button below. The best tip is to create an image and redirect it to your landing page. This way you can also track how many people clicked on the link and how many people landed on your page. Getting people to watch our videos and read our content is great, but I want a lot of things that can’t be accomplished from my viewer’s email client. I want interactions, not just views. When your video is on your own landing page, you have more control over your viewers’ next action. They can leave a comment, ask a question, or start a discussion immediately after watching. They can explore the other content on your site and consider signing up for an account. They can share your content, and the people they share it with can do it all over again! 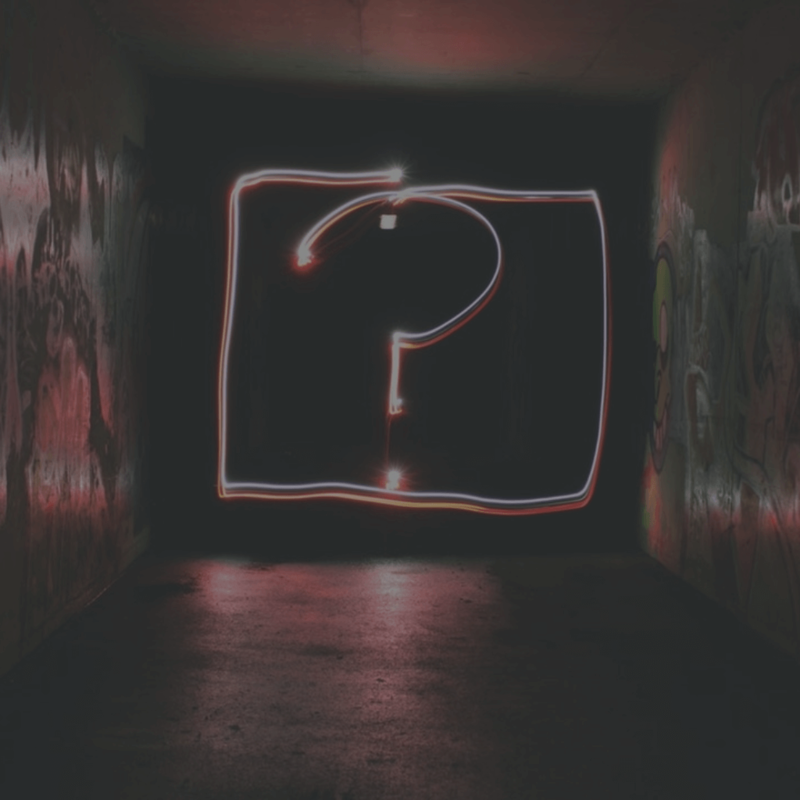 If you are confused as to why not to use images in your emails, there is a simple metric that says most of the consumers tend to disable images on their mobiles. Too many images in one email ultimately showed up like this on a mobile device that has images turned off. Many times, images may be turned on, but because these images take so much time to load, users tend to quit! 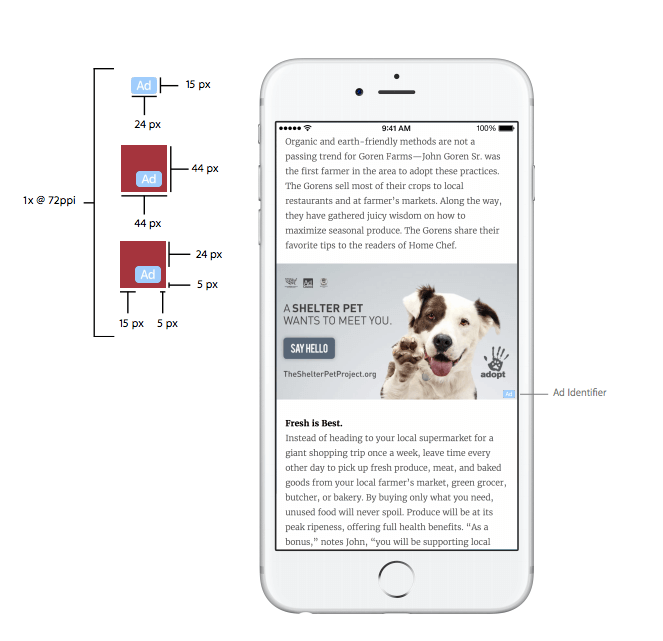 So, why take this risk when you can design sleek emails without stuffing unnecessary images! There are so many offers to check that will only leave the readers confused which one to check first. 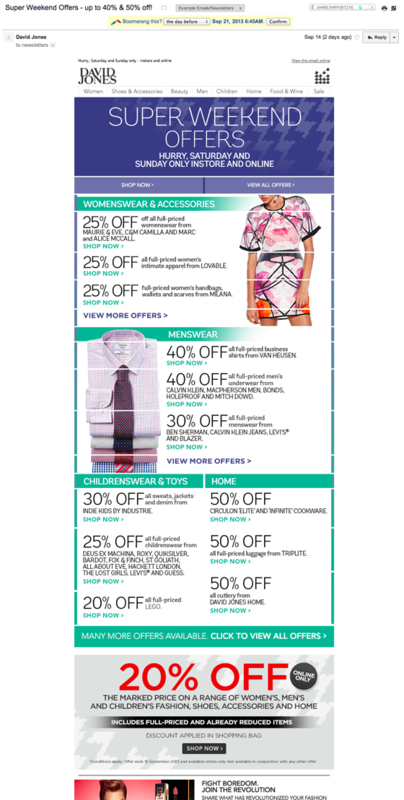 Also, too many offers makes the email template look clumsy. Add to that, the splash of so many colours shouting for attention is too much to take. Keeping your email to-the-point is essential. When you are designing the email template, it is important to zero-down on which particular feature you would want to focus on and what purpose are you looking to serve with that particular email. The design is minimalistic in approach, has one single focus point and is clean. You know that link down below. Yes, it is important for people who might face loading or rendering problems in the email. Help them to see a browser version so that they are not driven away. 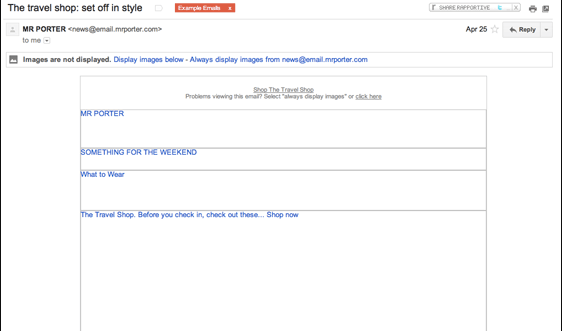 To build a user experience for your email readers, just test it out first to see if you can identify all the elements. This is important, and you should treat this as an email marketing mandate. If you do not give them this option to unsubscribe, they might end up marking your email as SPAM. You would not want this to affect your deliverability reputation. Make sure your email design template helps them easily locate this option! The design is clean. The spacing is perfect. The purpose solved. 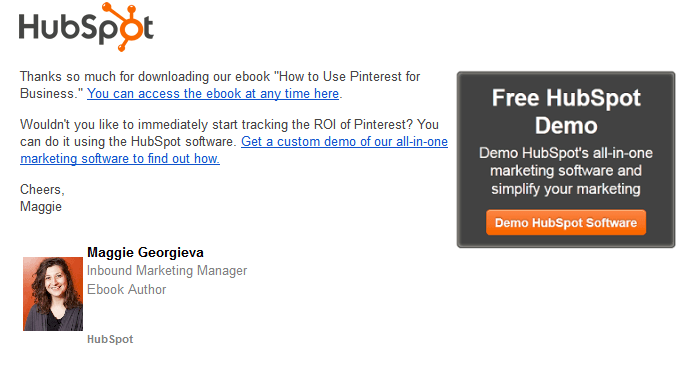 HubSpot sent out this email for an eBook download. Instead of telling the whole story here in the email itself, they have nicely hyperlinked the words. The email design is minimalistic in its approach and is good enough to convince you to follow the links and see what else they have got to offer. If you are using a particular email client, it is not necessary that your audience would be of the same. Test out across all the major email clients like Gmail. Hotmail, Yahoo, Outlook & AOL. 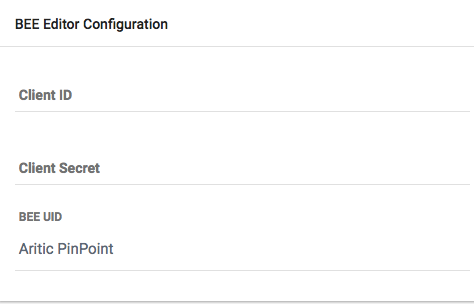 Try and select an ESP whose templates work awesome across all email clients. Keep testing before you hit send. These are few errors that often dampen the whole purpose of an email newsletter. An email template design that has less white space, good colors and fonts, the right amount of texts and is short- yep! That’s almost the ideal email template design for you. If you think there is more to this article, let us know in the comments below. We will keep updating the post with all your inputs. Jnana works as a Digital Marketer for Aritic. She has an MBA in Marketing. She is passionate about PPC, Social Media Marketing and designing images for blog posts and advertisements. She is also a Nature lover and Animal Enthusiast. You can follow her on Twitter @JnanaSRao. Thanks a lot, Jnana I always wanted to gain some information regarding the email template design mistakes. Email templates have been a useful asset to design the complete campaign, all thanks to Aritic PinPoint platform which has made the whole concept easier. Aritic PinPoint has made it much easier to understand the whole concept, smart solutions have been offered. Great post! Thanks a lot, Jnana, for updating this comprehensive list of various email template designs which must be avoided. It is an eye-opener for beginners. Agreed. Thanks a lot for sharing the article as it helps marketers to avoid the mistakes while designing email templates. These errors are so relatable. I have myself made some of these so frequently. Thanks for the compilation. Really helpful because these errors do affect the email performances and engagement metrics. Cheers. Recently started practicing email marketing. I must admit that this article covered points beyond my knowledge. Quite a few things I followed were inadequate. Henceforth will practice according to the steps provided. Thanks a ton. Usually we use email templates because they allow us to conclude the effectiveness of the messages swiftly and helps to adjust our strategy to the on-going requirements. Now I know what kind of email templates I must avoid. Thanks for sharing! Hey! You have provided a comprehensive and helpful list of email template design mistakes to avoid. Great work. Keep sharing such good works. In truth, it will be off putting for anyone who sees a clumsy email template. It is fundamental to keep the design in minimalistic and clean approach. These frequent design mistakes ought to be avoided. On the whole this is a very descriptive article. While talking of emails, open rate and subject lines are not the only things to focus upon but email template design is of equal importance as well. Aritic PinPoint has made it much easier to understand the whole concept, smart solutions have been offered.